All rights reserved. Text, images, graphics, sound, animations and videos as well as the arrangement of the same on Dremel websites are protected by copyright and other commercial protective rights. The content of these websites may not be copied, disseminated, altered or made accessible to third parties for commercial purposes. In addition, some Dremel websites contain images that are subject to third-party copyrights. 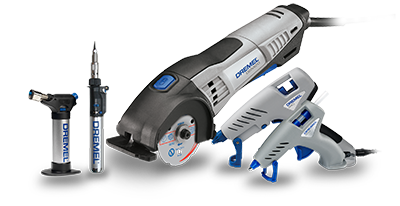 Unless specified otherwise, all trademarks on Dremel websites are protected by trademark law. This applies in particular to Dremel brands, nameplates, company logos and emblems. The brands and design elements used on our pages are the intellectual property of Robert Bosch Power Tools GmbH, Germany. This website was compiled with utmost care. Nonetheless, the accuracy or correctness of the information contained cannot be guaranteed. Any liability for damage resulting directly or indirectly from use of this website is precluded, unless caused intentionally or in gross negligence by Dremel. 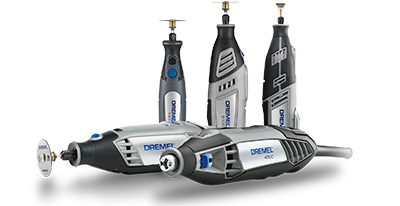 The intellectual property contained in the Dremel website such as patents, marks and copyrights, is protected. This website does not grant a licence for utilising the intellectual property of companies of the Dremel Group (Dremel) or third parties. We recommend using the following browser versions: Internet Explorer 9.x or newer, Mozilla Firefox 20.x or newer, Google Chrome 30.0.x or newer and Safari 5.x or newer. When using older browser versions (such as Internet Explorer 6), the functions related to our offers may be limited in some cases. If you would like to learn more about the cookies we use, please click the “Cookie settings” link in the footer. The “Cookie settings” link gives you additional information about the cookies used. In addition, you can configure which cookies you use.